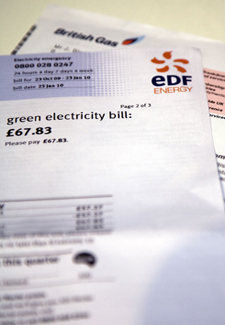 Money Q&A: Is Economy 7 always the cheapest electricity tariff? Q: Is Economy 7 still the cheapest tariff around? A: The answer is yes and no. Economy 7 is an electricity tariff with two rates – one for the daytime and a cheaper one for seven hours at night. Economy 7 was traditionally a cheaper option when a lot of homes had electric storage heaters instead of gas central heating. To encourage customers to ease the burden of the power stations at peak times of the day, Economy 7 users were given lower electricity tariffs to power up their heaters in the late hours of night and early hours of morning. The heaters would then give out heat gradually throughout the day. However as more and more homes have gas central heating instead of storage heaters, customers who have stuck with an Economy 7 tariff are probably not saving as much money as hoped as they use electricity most at the peak higher priced tariff times of the day. To solve this off-peak usage issue, you can either buy timers for your appliances such as dishwashers, washing machines and tumble dryers to make sure they are only on in the economy seven hours of the day. Or many newer machines now have a delay button built-in for ease. Alternatively, ask your energy supplier about changing your electric meter to a standard one and switch to a better tariff. First check it won’t cost you to switch meters and do it as soon as you can as all the major energy companies are due to raise their prices in the next few weeks, following the example of Scottish and Southern Energy who raised their prices by 9% on Monday 15th October.